In short, indoor positioning systems are coming — first to built-up and heavily-touristed areas (in the next year or two), and then, as smartphone saturation reaches 100%, everywhere else. What does it mean to be able to track your movements, in real time, at any location in the world, inside, outside, and underground? Before we begin, it’s important to point out that — just like GPS — IPS doesn’t necessarily betray your location to third parties. IPS can be entirely local to your smartphone (or other portable navigation device). 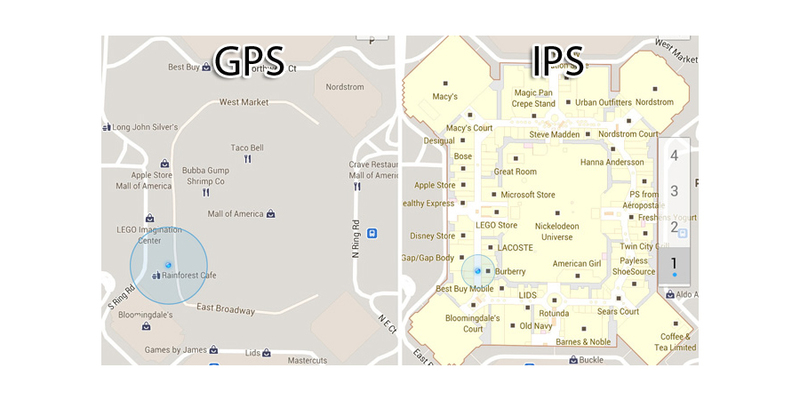 IPS, like GPS, can establish a location fix completely passively. The whole doomsday scenario of Rockefellers and global megacorps tracking your every move is unlikely to come to fruition without plenty of warning (and ample time to stage a rebellion). Starting out in the shallow end, IPS would enable a whole new range of “real life analytics” apps. If you love how that Nike+ GPS app tracks your running speed and distance, an IPS version would blow your mind. IPS could track exactly how many steps you take and how many stairs you climb — and calculate, quite precisely, how many calories you burnt in the process. IPS could keep a perfect record of how many minutes you spend in the gym (and on which machines). IPS could tell you how many hours you spend in bed, commuting, in the office, and on the toilet. The true power of IPS, though, would come from linking your real life analytics to other streams of data, such as social graphs and payment systems. IPS could track where and when you are most likely to use Facebook or Twitter, and tell you which locations are conducive to happy (or sad) status updates. IPS could be used to create beautiful heatmaps of where you spend money; you could even play it back in real time and watch your avatar as it bounces around a Google Map, first to Starbucks, then to the train ticket machine, then to the office vending machine, and so on. Then, imagine if shops and other commercial locations broadcast their current special offers (which could simply be an internet RSS feed that your phone periodically downloads). 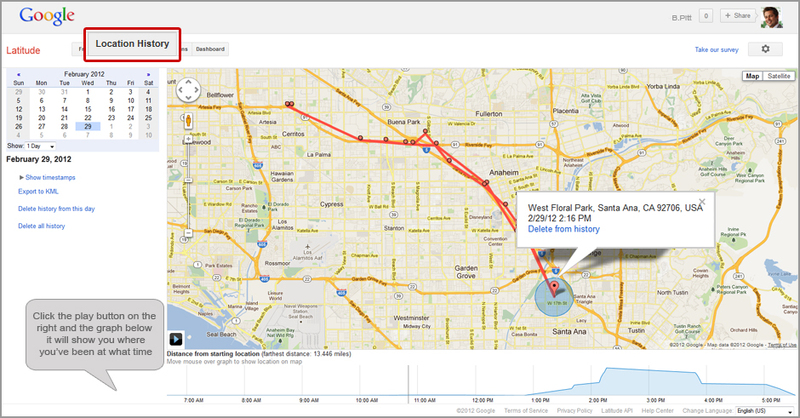 If IPS detects that you are near a store with a special offer, your phone could alert you. Likewise, your phone could tell you if you’re about to go into Starbucks, but a nearby coffee house is cheaper. Again, this could be done passively, without giving away your location (though I wouldn’t be surprised if some special offers are only available to people who opt into being tracked). Girls Around MeIPS could replace (usually criminally expensive) audio guides in museums — just hold your smartphone up to your ear. Edging towards Big Brother territory, IPS could give parents the ability to track their kids — it could even automatically initiate a phone call, if your kid happens to wander into a store that you don’t approve of (or an R-rated movie). IPS, it goes without saying, would massively simplify indoor augmented reality, too. 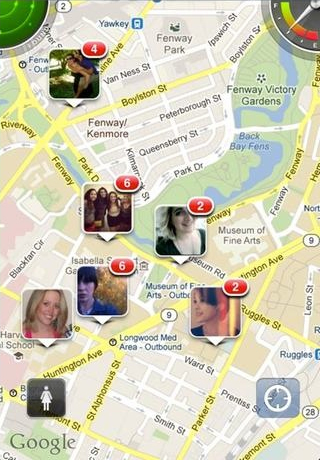 Perhaps most excitingly, IPS could herald the creation of real life social networks. By tying into Facebook, IPS could tell you, right this moment, if there’s someone nearby who also wants to play squash or watch an art house film. You could be walking down the street, and your phone could alert you that, just one block over, there’s someone who shares your passion for early DC comics, or some other esoteric topic. We touched on this in another post recently, but IPS could also tell you exactly how many men (or women) are at a given nightclub — or, less contentiously, the nearest venue with a high concentration of <insert topic> geeks. These real life social networks would require you to share a lot of data with those around you, but think about it: This could finally be an application of mobile computing that turns your attention outwards to those around you, instead of eternally gazing downwards at your smartphone screen. A few mouse clicks now could mean the difference between staying online and losing Internet connections after early July. The problem started when international hackers launched an online advertising scam in an effort to take control of infected computers around the world. In November 2011, six Estonian nationals were arrested and charged with running the scam that infected millions of computers worldwide and an estimated 500,000 in the U.S. In a highly unusual move, the FBI responded by setting up a safety net months ago using government computers to prevent Internet disruptions for users whose computers were infected, but that system will be shut down this summer. But the court order authorizing the safety net expires on July 9, so the FBI is now encouraging users to visit a website run by a security partner that will inform them whether their PCs are infected and explain how to fix the problem. After July 9, infected users won’t be able to connect to the Internet. The easiest way to check if your system is violated with DNS Changer malware is to go to one of the “are you infected sites” (see below). These sites only require someone to visit. The “are you infected site” will inform you if you are infected. Note: These sites only detect for DNS Changer. You might be infected with other malware. Please take appropriate precautions to protect your computer. It seems like as soon as something becomes a popular source of entertainment or communication or something that simply attracts a crowd, there’s always someone there to exploit that activity or trend for their own selfish personal reasons. Always someone trying to force something upon you that you didn’t ask for, you don’t want and that you have to spend time and money on to discard it. They try to cheat the system which ends up causing most people extra time out of their day to clean up the mess left behind by these spam trespassers. I will start by referring to postal “Junk Mail”, which should be considered the grandfather of spam. My mailbox seems to be full each and every day, yet I have chosen to go paperless with all my bills. I would guess that 90% of all Postal Mail is trashed before it’s even looked at. 90%…think about the resources it takes to deliver mail. There are trucks to haul the mail, people to sort the mail, people to deliver the mail and post offices to store the mail and the list goes on. Ask yourself this question….If the US Postal Service stopped delivering mail, how would that really affect you? You could pay your bills online, use email to send out holiday e-cards which won’t cost you $5.00 a piece, get your grocery coupons from the newspaper or online ads and now, you can even have your unemployment checks deposited directly to your bank account. I really can’t think of anything I receive in my mailbox that I couldn’t take care of faster, more securely and more efficiently by using another method or using the internet. Can you? Of course, that’s not the only type of mail that 90% of us discard without looking at. Email is another way people give you something you didn’t ask for, don’t want and that you have to spend time and money on to discard. Yes…money. You buy Anti-Spyware, Anti-Virus, Anti-Malware, Firewalls and Anti-Spam software to prevent from receiving Email spam and to protect you when you do. At one of my previous jobs I was responsible for supporting and maintaining their Email server. I used to run reports that would state the amount of spam vs. non-spam email we were receiving on a daily basis. It was a small company, about 30 employees, yet, altogether, they received about 5,000 emails a day. 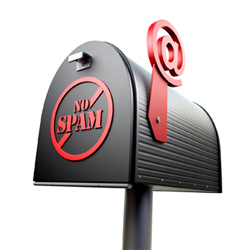 Of those 5.000 emails, approximately 4.900 were flagged as spam, that’s 98% on average. That’s unbelievable. I’m confused as to why people don’t have a problem doing this to other people and to other businesses. Doesn’t anyone care about how they affect the next guy….NO, NOT ANY MORE. Now, since I’m new to writing blogs and publishing them, I’m starting to learn more and more about Blog Spammers. There are companies that provide Blog Spamming services available all over the internet. They will spam your blogs with phony comments which includes the URL of their customer’s website. The link to their website creates what is called a “back link” and helps to drive their customer’s site up the organic search rankings, it does nothing for you. Their comments will say things like, and I quote, “I’ve learn some just right stuff here. Certainly worth bookmarking for revisiting. I wonder how so much effort you put to make this sort of fantastic informative website” or “I am really impressed along with your writing skills and also with the structure on your weblog. Can’t wait for your next post” or something along those lines that is intended to stroke your ego. These blog spammers must think we’re all idiots…like we’re going to believe those were the thoughts of someone who really meant it. I mean, you can tell the difference between a sincere comment and one left by someone or some program that never read the post. Again…there’s someone trying to force something upon you that you didn’t ask for, you don’t want and that you have to spend time and money on to discard. In my opinion, spamming someone’s blog is like going to your neighbor and saying, “Hey Bob, in addition to mine and Ted’s front lawn, I ‘m going to be using your front lawn to sell some stuff because I want to make it appear that I have more stuff than I really have, or that I have a larger selection then I do, so more people will come and buy from me. There’s nothing in it for you but you will have to clean up the trash the people leave behind on a daily basis. And, I won’t tell you when I’m going to use your property, I will just do it when ever I please…hope you’re OK with that Bob, if not, who cares, nothing you can do about it”. The only difference is that Bob knows who’s trespassing, victims of spam do not have that luxury. (a) Roughly 40 percent of all e-mail traffic in the United States is comprised of unsolicited commercial e-mail advertisements (hereafter spam) and industry experts predict that by the end of 2003 half of all e-mail traffic will be comprised of spam. (b) The increase in spam is not only an annoyance but is also an increasing drain on corporate budgets and possibly a threat to the continued usefulness of the most successful tool of the computer age. (c) Complaints from irate business and home-computer users regarding spam have skyrocketed, and polls have reported that 74 percent of respondents favor making mass spamming illegal and only 12 percent are opposed, and that 80 percent of respondents consider spam very annoying. (d) According to Ferris Research Inc., a San Francisco consulting group, spam will cost United States organizations more than ten billion dollars ($10,000,000,000) this year, including lost productivity and the additional equipment, software, and manpower needed to combat the problem. California is 12 percent of the United States population with an emphasis on technology business, and it is therefore estimated that spam costs California organizations well over 1.2 billion dollars ($1,200,000,000). (e) Like junk faxes, spam imposes a cost on users, using up valuable storage space in e-mail inboxes, as well as costly computer band width, and on networks and the computer servers that power them, and discourages people from using e-mail. (f) Spam filters have not proven effective. (g) Like traditional paper “junk” mail, spam can be annoying and waste time, but it also causes many additional problems because it is easy and inexpensive to create, but difficult and costly to eliminate. (h) The “cost shifting” from deceptive spammers to Internet business and e-mail users has been likened to sending junk mail with postage due or making telemarketing calls to someone’s pay-per-minute cellular phone. (i) Many spammers have become so adept at masking their tracks that they are rarely found, and are so technologically sophisticated that they can adjust their systems to counter special filters and other barriers against spam and can even electronically commandeer unprotected computers, turning them into spam-launching weapons of mass production. (j) There is a need to regulate the advertisers who use spam, as well as the actual spammers, because the actual spammers can be difficult to track down due to some return addresses that show up on the display as “unknown” and many others being obvious fakes and they are often located offshore. (k) The true beneficiaries of spam are the advertisers who benefit from the marketing derived from the advertisements. (l) In addition, spam is responsible for virus proliferation that can cause tremendous damage both to individual computers and to business systems. We as a society have become too complacent. 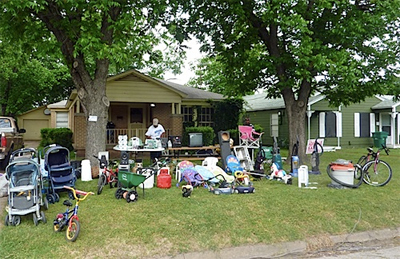 Instead of putting these trespassers out of business….we create a “Junk E-Mail” or “Spam” folder in our Email programs to accommodate them. The only way to stop people from using spam as an advertising technique is to get them to care that their methods affects the bottom line of other businesses and is a nuisance to society in general…instead of only caring about themselves and how they can use others to get ahead. If not, Google wants to help you find them. Google has a product called Latitude, an opt-in feature that lets smartphone and laptop users share their location with friends and family and allows them to share their locations in return. Although not pinpoint accurate, Latitude can display your general location based on information from GPS satellites and cell towers. Latitude works on both mobile devices and personal computers. 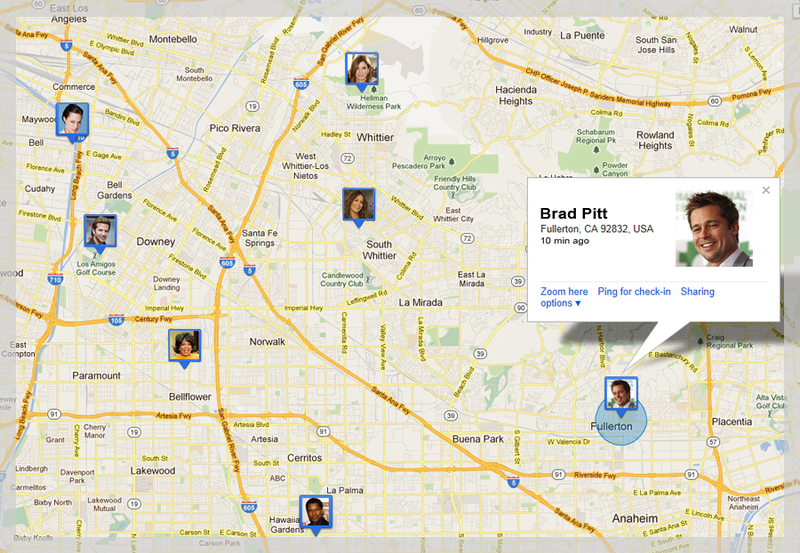 Once you and your friends have opted in to Latitude, you can see your friends’ Google icon displayed on Google Maps. Clicking on their icon allows you to call, email or IM them, and you can even use the directions feature on Google Maps to help you get to their location. The Google Latitude app, which you can download from the App Store, will run on the iPhone 3G, 3GS, iPhone 4, iPad, and iPod touch (3rd/4th generation), with iOS 4+. However, background location updating is only supported on the iPhone 3GS, iPhone 4, and iPad 3G. The web application runs in the Safari browser on iPhone and iPod touch devices in the Safari browser (Requires iPhone OS version 3.0+). Note that the web application does not support background location reporting. Most Windows Mobile 5.0 and above devices. Note: Some Windows Mobile devices don’t support cell-ID location detection. Some Sony Ericsson devices. Learn more about specific availability. Some older versions of these devices cannot support Google Maps for mobile version 3.0 and above and will receive the most recent compatible version without Google Latitude. Let’s say Bob wants to share his location with his girlfriend Jane. He invites her to accept his invitation through his mobile device or computer. Then Jane can accept and share her location back; accept but not share her location; or completely reject poor Bob. If Jane has chosen to share her location with Bob, she can decide whether to share her best available location or simply which city she’s in. Jane could also hide her location to keep ol’ Bob in the dark from time to time, or if Jane breaks up with Bob for her neighbor Richard, then she could just remove Bob from her location list altogether. According to company statements, Google only keeps your most recent shared location on its servers at any time. If you’ve hidden your location, then Google doesn’t hold any information on your locale at all. However, I know for a fact that Google keeps up to 6 months worth of location history of the places you’ve been. To access your Latitude History information, logon to your Google account from your laptop or desktop computer, from the main navigation menu, select More > Even More > Latitude and then select the Location History button. 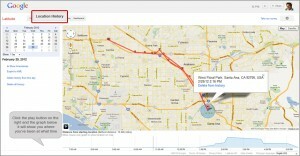 Google starts tracking your location a couple days after you install the application on your smart phone. The images on the right are an example of what your location history looks like. It shows where you’ve been for a 24 hour period. If you want to view another date, simply select the date on the calendar shown on the page. You can even use the satellite view that will take you down to street level, that’s amazing! Your Google account can view only your location history data, in other words, you won’t be able to view the location history of your “Latitude Friends” from YOUR Google account. While this feature sounds like it could be helpful, and sometimes incredibly annoying, I wonder what this does to the notion of privacy. For example, will federal officials or the police ever try to force Google to relay your location information? Or, what if Google Latitude shows your significant other that you’re somewhere you shouldn’t be when actually you’re a few blocks away? Where you are can also say a lot about you especially when it comes to your free time. Think of the possibilities, is this giving Google and others to much information? We need to think about what would happen if your whereabouts ended up in the hands of someone with malicious intent. Your privacy and personal information should always be handled with care. Share your information only if you have a good reason too and only to those you trust. On the lighter side, I found a funny video regarding Google Latitude. Enjoy! My definition of content, as it relates to Content Marketing is; the message we share in order to attract the right people’s attention and then earn their interest, to their betterment and the development of our company and personal brand. Content is going to be extremely important in 2012 with Google changing its algorithm and with people looking at ways to create a strong presence on platforms that continue to change, like Facebook, Twitter, LinkedIn and Google+. Great content is the one constant! Here are some items I think about on a regular basis with respect to the content I share on blogs. Creative: You have to have a strong voice and stand out. If you are blogging for a company, make sure the content you are writing relates to the products or services that your company provides. If you are writing about a popular subject, like social media, you really have your work cut out for you. There are so many social media blog sites. My advice to you, write about your personal experiences. This way you can take a solid stance on a particular subject. Name: Always remember when you write, you represent your personal brand and company brand. You are always working to build your image and earn the respect of your readers. Always respond back to all valid comments left on your site. You can disagree with someone, but do not make it personal. Disagree with the point, not the person. Time: Blogging takes time in the beginning. Generate ideas. Find a time that works for you to write blog posts on a regular basis. If you get stuck, come back. If you miss a day, it’s ok, just don’t miss another day. Take weekends off if you need to. You also might discover that weekends are the best time to write. Timing is everything. Find your best time and stick with it. Every day: Work with your site every day. 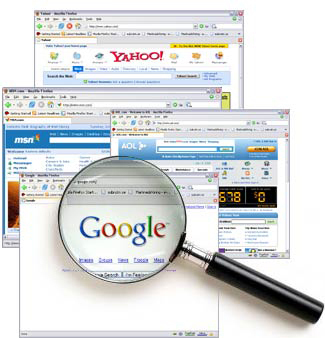 Check out the type of readers who are accessing your site. Spread word about your blog using Twitter, Facebook, LinkedIn and Google+. If you see a potential story, bookmark it for a later time. Read other blogs and see if there are things you could add to your own blog to make it better. Newsworthy: Blog about topics or issues that are current and would add value to your readers. Build on someone else’s idea and give credit. Check out trending stories. Make sure you are creating good, original content. It really doesn’t make sense to echo the same news as someone else. Test: Try out different topics. Look at different blogging platforms. Personally, I prefer self hosted WordPress. Check out different page layouts. Make sure you use an analytic tool to gauge how many visitors, page views you are receiving and the words they use, to find you etc. Also, test sharing your links on social networks, using different titles to the original post. This allows you to learn which type of title attracts the most interest, so you can write better post titles next time. Talk to people who have been blogging for longer than you, as their experience could be extremely useful to you. Clear communication is a must when designing websites. After all the aim of the net page is to deliver an explicit message to the audience therefore communication is key. Think of the long-term implications of your internet design. A net page filled with flashy animations would possibly attract a few browsers in the start, but may soon fizzle out as shoppers face problems with poor website usability, reduced speed of loading pages and lack of content. Right on top of your list is your target market. Every website contains a different target market and should be designed accordingly. Content is as crucial as color, graphics, typography and layout of the web site. Your website ought to be fascinating and truth crammed, simple to navigate and smart enough to come back to once more and again. The navigation menu should be uncluttered and concise therefore that visitors understand how to navigate around your web site without confusion. Make your web site users feel invited and snug when navigating your web site and don’t ever compromise usability for style. A website with dazzling designs however poor navigation is sure to irk your audience and leave them pissed off. Reduce the quantity of images on your web site. They make your web site load very slowly and a lot of often than not they’re very unnecessary. If you’re thinking that any image is essential on your web site, make certain you optimize them using image editing programs so that they need a minimum file size. Keep your text paragraphs at a reasonable length. If a paragraph is simply too long, you ought to split it into separate paragraphs therefore that the text blocks cannot be too big. This is very important as a result of a block of text that is too big will deter guests from reading your content. Make certain your web site complies with web standards at http://www.w3.org and build sure they’re cross-browser compatible. Just because your web site is formatted according to your intentions in Internet Explore, doesn’t mean it will be formatted correctly in Fire Fox. You should make sure that your web site displays properly in all of the following primary browsers: Mozilla Firefox, Internet Explorer, Google Chrome and Opera. Meticulous attention to detail reflects your professionalism. Don’t litter your net page with all sorts of stuff however maintain a harmonious balance of content, graphics, typography, colors and content labeling. Smart typography and a right combination of colors unobtrusively enhance your website with high caliber craftsmanship. Avoid using scripting languages on your website unless it is fully necessary. Use scripting languages to handle or manipulate information, not to make visual effects on your website. Heavy scripts can slow down the loading time of your web site and even crash some browsers. Also, scripts don’t seem to be supported across all browsers, thus some visitors may miss important data as a result of that. Use CSS (cascading style sheets). CSS permits you to maintenance the formatting of your entire site (e.g. the color or size of a text) on a single page – a CSS document. For example, if you wish to change the background color of your website, you’ll simply amendment your one CSS sheet and your entire web site’s background color would change. Designing your website will be pretty easy with the numerous free web templates that are easily obtainable over the internet. But you should keep in mind that a web style template should only be used as a foundation around that you should custom-style your website to suit your special necessities. Use inception software and freeware. There’s no reason to create your own dynamic scripts (e.g. searching carts, chat-rooms, etc. ), you can find plenty of freeware that is pretty easy to find by searching the web. Why reinvent the wheel if you don’t have too. Do not benediction for free or tasteless internet-hosting. Free hosts might emit your web site with awkward ads. 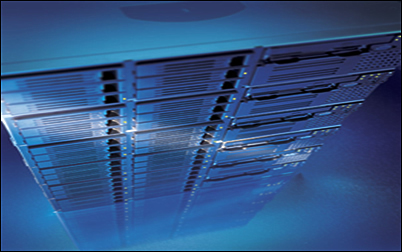 Additionally, free and cheap hosts typically don’t support dynamic websites. Just getting a website up and running is solely half the battle. Your web site should be designed making sure the mentioned factors are considered. After you publish your site, be sure to treat it as a living breathing thing that requires attention to survive. Using CMS software (e.g. WordPress) to build your site will make it easier to be maintained and updated down the road. Your visitors don’t want to see the same ol’ content every time they visit your site, keep your content fresh and your visitors will return. It’s higher to have a easy, sleek, and useful website, than to own a complicated, sloppy, dysfunctional website. Chrome 17 is out with a new prerendering feature designed to make your pages load faster, and both Firefox and Opera have also released speedy new versions since our last round of speed tests. So, we’ve once again pitted the four most popular web browsers against each other in a battle of startup times, tab loading times, and more, with more surprising results. As always, remember that speed is not the only thing each browser has to offer. Each browser has a number of unique features and characteristics, all of which you should factor into making your choice of which to use. However, while most features can be listed on their home pages, you can’t easily compare their speed just from each browser’s changelog, and that’s why we’ve put this together. It’s just one more way to compare the browsers as you make your decision. Also keep in mind that everyone’s computer is different, and it’s not really the numbers that matter here. Your own tests on your machine could produce very different numbers, but it’s the comparison between each browser that matters—on a level playing field, they should rank similar on any computer you test them. We’ve slightly tweaked how we test cold boot-ups since last time. Instead of waiting for the same home page to load, we’ve decided to time cold boot-ups only until the browser window appears, since that’s what really matters to most people: when you can actually start using the browser (clicking bookmarks, typing URLs, and so on). In this test, Chrome came out the pretty clear winner, showing itself before any of the other browsers. It was a close match though, with Firefox taking only about a second more in last place. Given nine tabs to load, ranging from Lifehacker to Facebook to Hulu, Opera once again blew everyone else out of the water with an insanely quick time of 6 seconds. Other browsers took nearly 3 times as long, with Firefox and IE hitting 17 seconds and Chrome moving like molasses with 22 seconds. We wanted to test Chrome’s new prerendering feature to see what kind of difference it made in loading a page after typing it in in the address bar. So, we ran an AutoHotkey script that typed in Lifehacker.com, ran it a few times in each browser, and subtracted the time it took to type the address. While the results were fairly close—within a second from one another—Chrome was noticeably faster, loading pages instantly after hitting the Enter key (as long as you had visited that page once during that session). IE was surprisingly quick, taking a bit less than a half second more, while Opera and Firefox took their own sweet time at 1.35 seconds each to load a new page. It was one of the smallest scales on which the browsers did battle today, but it was still different enough that we though it worth including—and it’s actually quite noticeable when you’re browsing. Once again, these results should be pretty familiar. Opera smoked the competition during the CSS tests, more than usual, while Firefox, Chrome, and Internet Explorer all ate its dust in 2nd, 3rd, and last place respectively. Memory Usage (with Nine Tabs Open) Winner: Firefox! This time around, we’ve left our no-tabs-memory-usage scores out of the final tally, since we didn’t find that they really mattered in real world usage. When it comes to memory usage with nine tabs open, however, Firefox reigns supreme—which, even though isn’t a new result, is still shocking given the fact that Firefox used to eat memory like it was Pac Man and memory was little white dots. Unlike last time, this time Firefox edged out Opera, showing its truly committed to this lower-memory browsing, while Chrome and IE took up a fair amount more memory on their own. If you’re curious about each browser’s memory usage without nine tabs open, we still measured it; we just didn’t put it in the graphs. Chrome actually wins the battle of base memory usage at only 42 MB, with Opera close behind at 48 MB. Firefox and IE use up closer to 63 MB of RAM without any tabs open—negligible in the grand scheme of things, but interesting to know, considering how bad Chrome is at managing memory once you open up a few tabs (and how Firefox squeezes into first place). Memory Usage (with Nine Tabs and Five Extensions) Winner: Firefox! It looks like using extensions may raise each browser’s memory usage, but not in a way that differentiates them in these tests. Firefox still comes out ahead when you install five extensions, with Opera behind it and Chrome in last place. It’s clear that each browser is improving quite a bit with each new version, and each has pretty clear strengths in the realm of speed. While loading a group of bookmarks (or restoring an old session) in Chrome is remarkably slow, loading a page from the URL bar feels instantaneous, while Firefox has learned its lesson with memory usage. Opera loads a group of tabs with shocking speed, as usual. Hopefully, this trend continues into the future and we see more competition between each browser for title of the fastest. Our tests aren’t the most scientific on the planet, but they do reflect a relatively accurate view of the kind of experience you’d get from each browser, speed-wise. Let us know if your experience differs—or if the speed losses are worth the browser’s other features—in the comments.